We Don’t Care. We Really Don’t Care! Thank you for a CRAZY FALL SEASON. We’ve had strong sales, including a record number of AMAZING custom projects. You kept us busy and inspired in Q3, which the Classic Exhibits Family appreciates. The rental division, Classic Rental Solutions (CRS), saw the largest surge. And that’s not surprising. Exhibit rentals are growing at Classic and throughout the industry. More and more exhibitors are attracted to the smaller upfront investment and the luxury of changing their design from show to show or year to year. The exhibitor’s desire to “mix things up” challenges many builder’s design flexibility and capacity. Not every company has the capability (or willingness) to stretch their rental program. But We Do. And Here’s Why. #1. Classic Exhibits and CRS support over 200 distributors. Not every distributor taps into our rental division, but the vast majority send us multiple projects every year. That volume means we have an unmatched inventory when your client needs five LED lightboxes, a double-deck display, a 40 x 40 island, or 37 monitor stands for an event. There are few requests we can’t handle. #2. We are the manufacturer. We’re not ordering modular frames, cut aluminum extrusion, or custom wood counters. We’re building them. 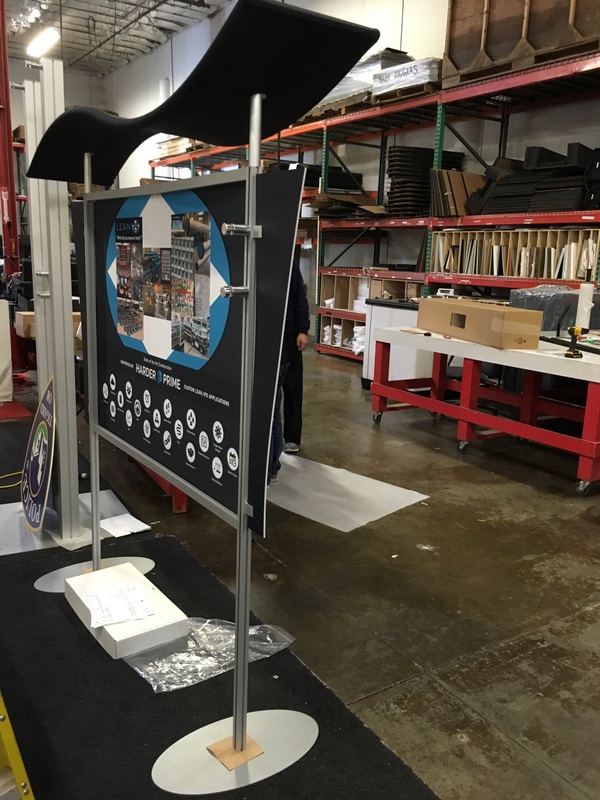 If the rental division needs a custom counter or curved Gravitee One-Step frames, it’s done in days, not weeks. It also means we control the quality. We have no hesitation about throwing away damaged aluminum, chipped laminate, or rebuilding or replacing crates. What we ship has to be perfect because we’re answerable not only to you but also to your client. Happy customers mean more rental orders. And that makes us happy. #3. We are the designer (in most cases). That gives us enormous flexibility to create customized rental designs. We can choose to build a custom component for a specific design. So many rental designs on the show floor are cut-and-paste, carbon copies of modular panel templates. Be honest. How often have you seen the same rectangular tower with four arches and stock counters? Rentals are growing but some of the designs on the show floor are getting pretty stale. #4. We are Classic Exhibits. Over the years, we’ve built our reputation on design, quality, flexibility, and nimble engineering. And especially predictability. When you open a rental crate there should be no surprises. It will include detailed instructions, immaculate packaging, and graphics that fit, since the display was staged and photos taken in our facility. #5. Lightboxes, Charging Stations, Monitor Stands, Tablet Solutions, LED Accent Lighting, etc. 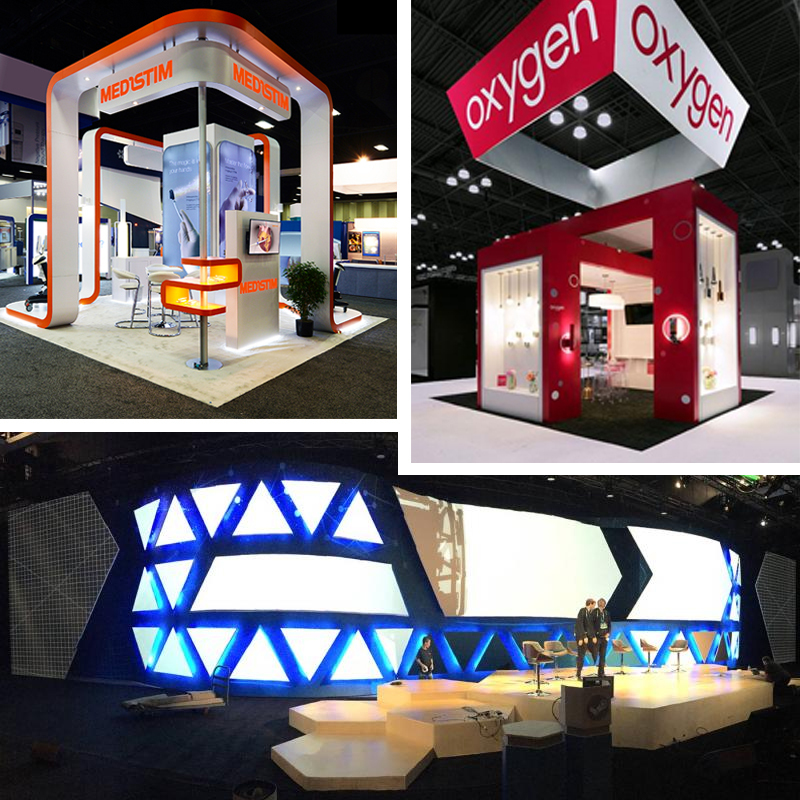 Trade show industry trends change FAST. Those trends should apply equally to rentals as they do to purchases. Sadly, that’s not true for all suppliers. At Classic Exhibits, we have no reason not to cross-pollinate purchase trends with rentals. We benefit. You benefit. Your client benefits. So…. you may be wondering about the title of this blog post — “We Don’t Care. We Really Don’t Care.” On occasion, a distributor will apologize for a rental order. Their client considered both a rental or a purchase but eventually decided to rent. Yes, the initial order is is smaller but that’s fine. Rental orders, over time, tend to be larger than purchases. And frankly, the margins are better. There’s no need to apologize. We don’t care whether you purchase or rent from Classic Exhibits. We only care that you do one or the other. Thanks again for a remarkable fall. Be sure to visit the Rental Display Gallery. We’ve added over 120 designs in the past two months, all with rental and purchase prices. “Like how much space?” we asked. Did she have a particular design in mind? Yes. She loved the Sacagawea VK-1292. Did she have a reasonable budget? Yes. How were we going to design/engineer the VK-1292 to fulfill her requirements? The answer was to design a table top that looked like a table top but engineer it to be a floor-standing display. At first glance, the “table top” below looks like a contemporary table top. Yet, if you look at it closely, it isn’t sitting on the table. The photo from our shop floor shows the full frame. We are not sure if this is a trend, but it’s a clever solution to frequent concern of table top exhibitors — more space for their stuff. Come to think of it, that’s pretty much a concern for every exhibitor. Wondering it it’s still portable? Yes. It all packs in (1) portable roto-molded case with wheels. At that Classic distributor, the designer is usually included in the initial conversation with the client. Depending on which designer you talk to that’s either a bonus or a burden. The questions he shared gauge whether the exhibitor has identified their trade show marketing goals. That’s critical. And yet, it’s easy to skip those questions because doing so can make the potential exhibitor uncomfortable if they haven’t done their homework. Personally, I’ve been in meetings where merely asking those questions caused the client to consider not buying an exhibit. More often than not they would come back. But not always. Not everyone should be an exhibitor. IMO — If your client intends to purchase or rent an exhibit, they should be prepared to answer these questions. 1. Why are you exhibiting at XYZ Conference? What does this conference provide that is a benefit for you as an exhibitor? 2. How would you qualify a successful event? Expanding brand awareness, generating new sales leads, successful client meetings? 3. Who is your target attendee at XYZ Conference? Meeting new prospective clients, reinforcing established relationships? We often grumble that drayage or labor or freight or show services is killing the trade show industry. However, the single biggest barrier to trade show success is an unprepared, unmotivated, and uninformed exhibitor. It’s easy to blame them for not doing their homework, but honestly, we’re equally to blame if we don’t ask the right questions, guide them to the right resources, and offer professional trade show marketing expertise. After all, we’re the professionals. Do you have any other “essential” trade show marketing questions? Please share. In this video, Kevin shares his thoughts about fall business, Shared Knowledge University, Classic Rental Systems, and EDPA Access (in late November). It’s been an exciting fall season at Classic Exhibits with increased orders and a HUGE bump in custom builds. A sincere thanks to the Classic Distributor Network for trusting us with your orders. It’s very much appreciated. See the video below for your complete update. 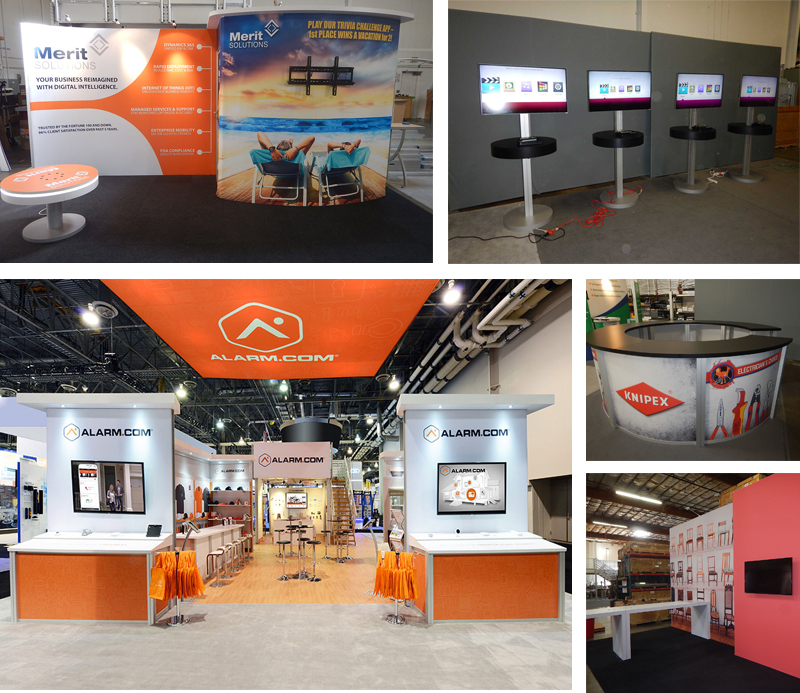 To view recent projects, go to Past Five Days in Exhibit Design Search. 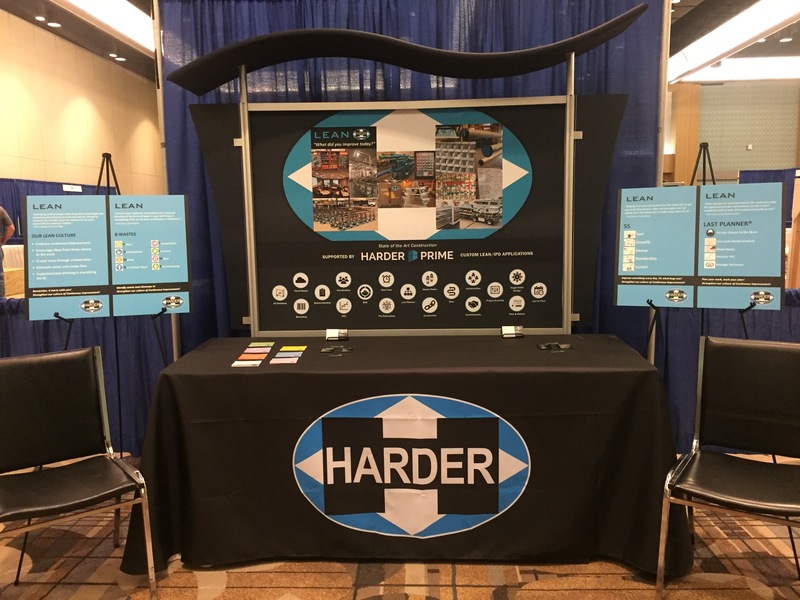 What Makes a Custom Exhibit a Custom Exhibit? Earlier this week, I sat in a lengthy build meeting for a $275,000 custom exhibit with the designer, account executive, detailer, project manager, multiple production leads, and Kevin. It’s a 20 x 40 mostly wood exhibit with a 30 ft. arch with compound curves, several retail-esque serving areas, raised flooring, and refrigeration displays for food. Plus, lots of subtle LED lighting. It’s for a March show. Perfect project for November, when there’s typically some slack time in our schedule. If you saw the rendering (which I can’t share yet), you would say, “Now that’s a custom exhibit.” I told the AE that with his permission we’ll assign a kit number once it’s built and put it on Exhibit Design Search. I was joking. Kinda. But it prompted a conversation, which focused on whether assigning a kit number and entering it into Exhibit Design Search no longer makes it a custom project. At Classic Exhibits, we are often defined (or limited) by Exhibit Design Search, the trade show industry’s leading display database. And because EDS is kit-based, it’s easy to assume we are a portable/modular/hybrid manufacturer. And, we are… and we are not. Easily 80% of what ships from Classic Exhibits is modified, customized, or custom. Which we encourage. In the current exhibit supplier landscape, there is only one, perhaps two, builders in our industry that do anything similar to what we do. Don’t misunderstand me. There are portable/modular suppliers. There are custom houses. 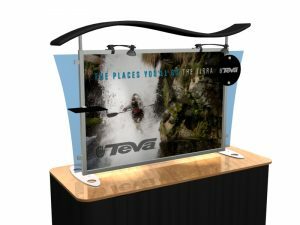 But, there’s really no company with a national, non-franchise footprint that will supply, design, and build portable, modular, hybrid, and custom displays from tabletops to islands for an established distributor network. Whether or not an order starts from a kit, everything is built to the specifications of the job. And when I say built, I mean built. We don’t pull a box from some shelf and ship it. Sometimes the display is a current EDS design, sometimes it’s inspired by an existing design, or more often than not it’s created by our Designers from your specifications and budget. So I am confused (and I don’t want to be). When is an exhibit custom? Now more than ever, it seems the term “custom” is fluid. Is it based on materials, project dollar size, or who builds it? Is it an original design, not one based on prior concepts? What if it’s built from modular panels? Does it matter as long as your client views it as custom? And, here’s the tricky one, can a rental be custom? I’d very much enjoy hearing your thoughts and definition. Thanks.